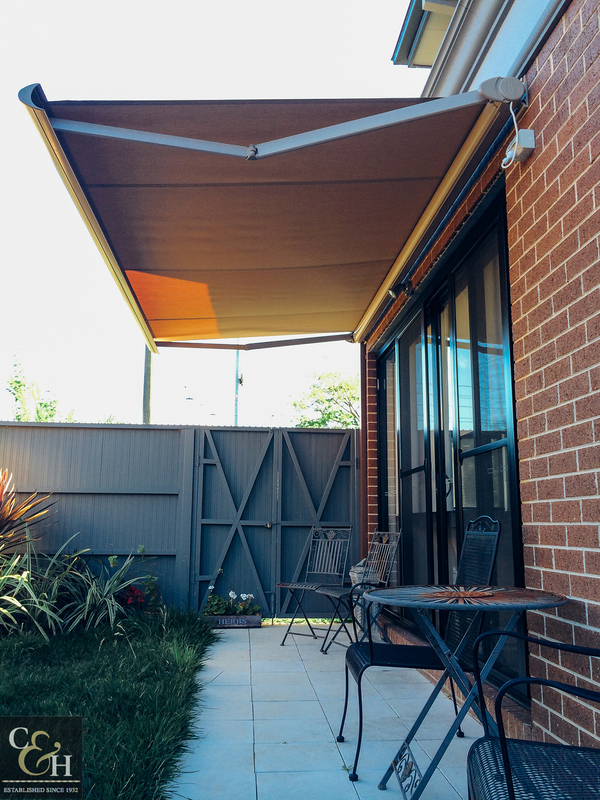 Campbell and Heeps understand custom awning solutions are about choice, our range of manual and motorised folding arm awnings are ideal for any application. The Brustor B-50 is a compact and fully enclosed cassette casing available as manual or motorised, it excels both aesthetically and technically. The Brustor B-50 is available up to 5m 50 wide with a 3m maximum projection. The awning can easily be mounted by simply hooking it into the face or ceiling fix brackets. An easily adjustable nut allows for effortless inclination movements between 0° and 45°.